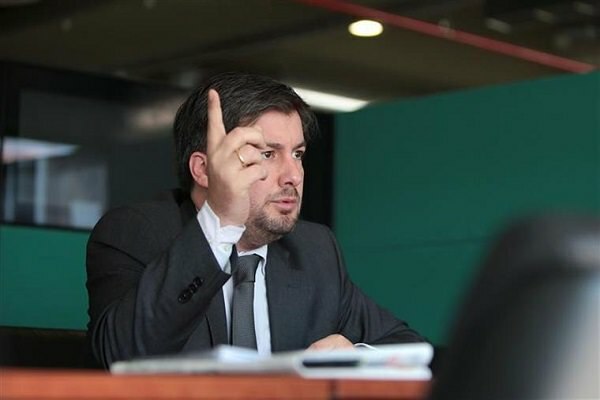 Bruno de Carvalho. Charismatic leader? Ruthless tyrant? Eccentric jester? All of the above? The official club website doesn’t have much to offer. A bunch of outdated, 11-months old reports pop up under the “News” section. The “Our Organization” card is, somewhat fittingly, filled with a dummy text. Under the “Main Team” label, one can find the profiles of merely seven players – some of whom do not belong in that section anymore. The president is suspended. On Wednesday, SCP’s General Assembly has decided to charge the leading authority with “the violation of club’s statures”. He is, at least temporarily, banned from entering the club facilities and the decisions he makes are to be considered “null and void”. He’s already launched a Facebook tirade, questioning the Assembly’s authority. It's all kicking off today. Bruno de Carvalho has finally been suspended as Sporting president and has been banned from entering the Alvalade. At the same time, his spokesman Fernando Correia had his hands full scrapping the rumours about the footballers’ letters to the board. As he stated – and “A Bola” duly noted afterwards – no players’ statements were delivered to the club offices – let alone statements which, in line with the gossip, would urge the president to resign. However – the players’ requests to terminate their contracts are unquestionable facts. Six men – including the long-serving goalkeeper, the highly rated winger and the forward responsible for 70 goals in 90 appearances wearing the green shirt – are all heading for the exit door. And today passes the deadline for others to follow them. In the 111st year of their existence, Sporting CP, The Lions from Lisbon, are facing easily the greatest crisis of leadership in the club’s history. What looked nothing more than a criticism of a poor performance soon escalated into a small war between the president and the dressing room. In response to the slating, nineteen players have issued an Instagram post expressing their disapproval with the boss’ opinion. “We lacked support (…) from the man who should’ve been our leader” – stated William Carvalho. Soon enough, he and his teammates were all suspended. The manager Jorge Jesus faced an unpleasant prospect of playing the youth team during the next-weekend match, at home, against Paços de Ferreira. Eventually, the argument was hastily swept under the carpet. The president’s Facebook post disappeared from his feed and the manager publicly denied the suspensions. During the weekend, Sporting defeated Paços 2-0, domintating the match from start to finish. Two of the mutineers, Dost and Ruiz, bagged goals in a one-sided affair that saw the entire SCP starting eleven working in unison. The only three absences of Piccini, Coentrão and William reportedly stemmed from the knocks they’ve reportedly suffered against Atlético. Alas – that was just the beginning. 90th minute in Funchal. Distraught Bas Dost knows that his side has bottled a golden chance. On a final day of the season, Lions have lost 1-2 in Funchal. Only a result as good as Benfica’s outcome against Moreirense (1-0 win) was securing them a 2018/19 Champions League spot. Two days after that fiasco, a masked group of about 50 hooligans stormed into the training ground. 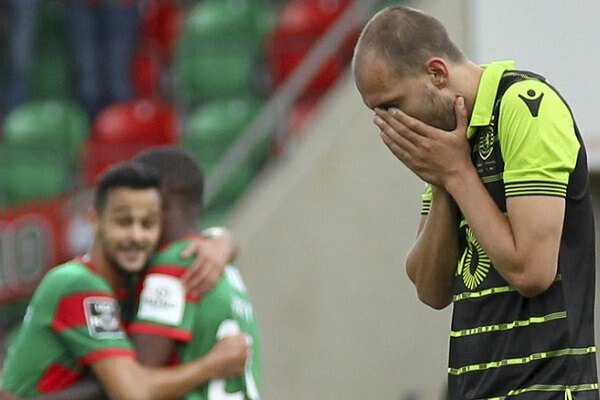 Armed with sticks and belts, they injured two staff members, left a wound on Bas Dost’s head, destroyed the locker room and withdrew after 15 minutes of mayhem – following infamous 2018 examples set by Nantes and Lille “fans”. Just a few days after Sporting missed out on next season’s Champions league and five days before they'll be playing in the Portuguese cup final, 60 so called ”fans” invaded their training complex and physically attacked players & technical staff. Once again, Bruno de Carvalho was quick to react. Hours after the incident, shocking reports emerged about him suspending the entire coaching staff. Soon enough, he’s scrapped his decision again, following the players’ protest, who refused refused to prepare for the impending Portugal Cup final in an act of solidarity with Jorge Jesus and his men. This time, the turmoil rubbed off on the team: at Estádio Nacional, tiny Desportivo Aves pulled off a sensation, beating Lions 2-1 to win their first-ever big trophy. The chaos amplified even further in June. SCP head executive launched another campaign in his life-long crusade against the power and the greed of football agents. Accusing Jorge Mendes’ sports agency GestiFute of blackmail, de Carvalho revealed that the company demanded a huge cut of Rui Patrício transfer fee – fee proposed by the goalkeepers’ potential new employer, Wolverhampton Wanderers. According to the boss at Estádio José Alvalade, it wasn’t the first time he’s faced such audacious pressure – Adrien Silva’s last-year, £22 million move to Leicester City being the other example. And so the last straw has been drawn. Patrício and forward Daniel Podence requested contract termination on June 2nd. On June 5th, manager Jorge Jesus flew to Zurich where he signed a contract with the Saudi side Al-Hilal FC. Last Monday was even more spectacular: Bas Dost, Bruno Fernandes, Gelson Martins and William Carvalho have all invoked ‘just cause’, requesting an immediate termination of their deals (tying them to the club until 2020, 2022, 2022 and 2020, respectively). Within a week, half of SCP’s manpower has walked away. De Carvalho, though frozen out, remained. Loud, confrontational and abrasive, he’s managed to alienate nearly all his most important employees – including the manager whose signature he hijacked from Benfica in a 2015, sensational example of hiring from a sworn enemy. Before that, the despotic CEO had also a heated fall out with his former subordinate, Marco Silva. Even three years down the line, those two exchanged few bitter words about each other and the circumstances of their tumultous separation. To be fair to de Carvalho – he does have some reasons to be arrogant. Five years ago, when he took charge at the club, Sporting were running a £250 million debt and closing on the worst league season in history, marked by an embarrassing 7th place finish. By battling the third-party ownership, selling players for substantial fees and extensive audits exposing the negligence, he’s managed to cut the hole in budget to approximately £130 million by January 2018. The previous year, those successes have earned his a landslide, 86%-margin victory in a reelection. 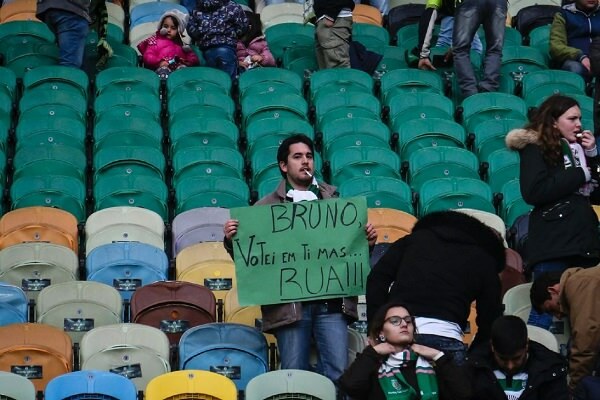 “Bruno, I voted for you, but resign!” – disappointed fan with a clear message to his president. But his 2018 war of attrition is set to end sooner rather than later. The Securities Market Commission has already approved terminations for Patrício, Podence and Dost. Should the CMVM body do the same with William, Fernandes and Martins, Sporting’s market losses will amount to £100 million in potential transfer fees they’d never receive alone – not to count the immeasurable decline in brand reputation, shirt sales and, of course, performance on the pitch. Apart from oil sheiks’ helms, no presidency is worth such hits. Still – it might be already too late to cut the losses. West Ham were hunting William Carvalho for months and recently, Marco Silva’s Everton seem to be in the mix for the midfielder too. Gelson Martins is one of the many Arsenal’s targets as Gunners could use a dynamic winger. Following a superb season, Bruno Fernandes should be spoilt for choice, picking between Tottenham, AC Milan and Roma. And towering target man Dost has emerged as a potential new star for either Newcastle United or Galatasaray. If those deals don’t go through – there’s always Benfica, who’d love to hijack a couple of deals as a late revenge for losing the manager. What Lions we are going to see after the World Cup? Only time will tell.